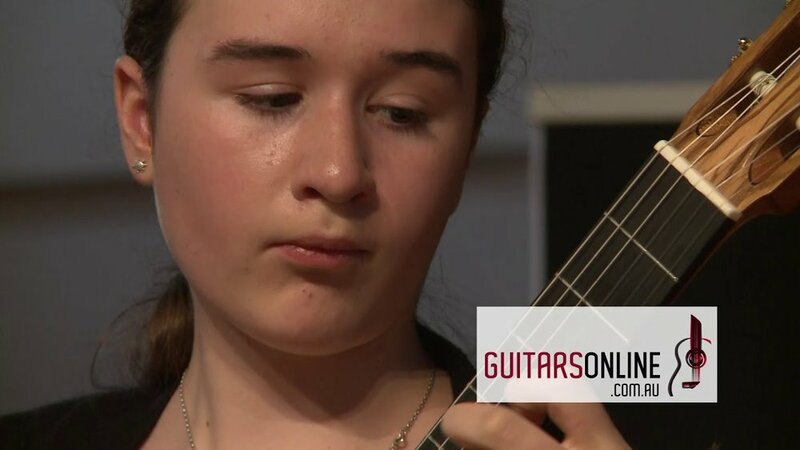 At GuitarsOnline, we love to profile and showcase Australia’s leading talent and up-and-coming classical guitarists. We're proud to sponsor and support classical guitar events and festivals and watch the development of these incedibly talented students. We hope you enjoy and support their performances. 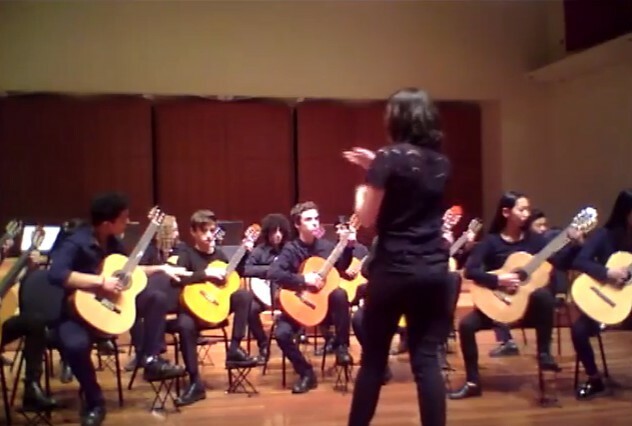 The annual Sydney Guitar Summer School was yet again, a spectacular success - an inspiring mix of dedication and professionalism from the incredible teaching staff and students alike. 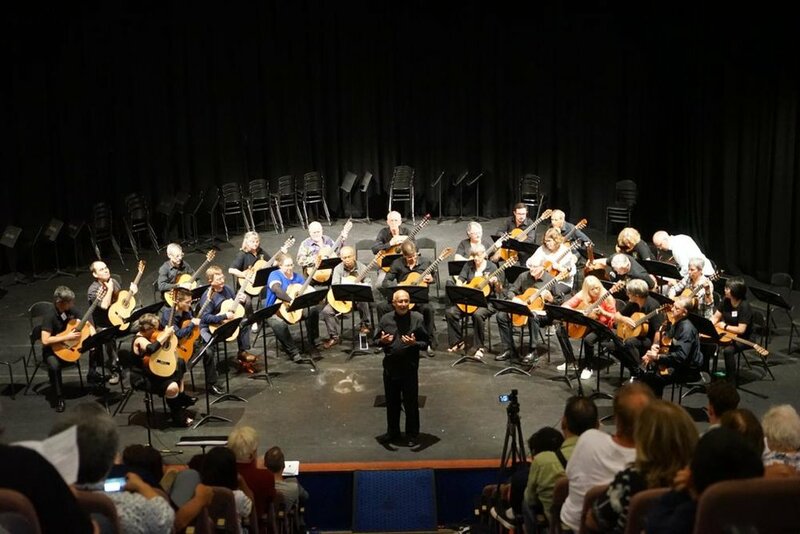 The mix of lectures, open lessons, ensembles and workshops are all designed for guitarists of different levels, with the list of musicians that have tutored at the Summer School over the past 20 years, reading like a who’s who of guitar. Once again, we are delighted to have recorded for you the closing night Summer School Gala Performance - so enjoy the performances from each of the student ensembles, as well as the tutors and special guest performers, Omar Cyrulnik and Simon Powis. The CGSV 2018 Ensemble Extravaganza, was a fantastic opportunity for the school ensembles to showcase to fellow students, parents and the school system at large the results of their commitment and efforts, together with the experience of playing in public and being applauded for their efforts. It’ was a great night for all involved - enjoy the performances. We also had some special guest performances from none other than Ziggy and Miles Johnston and The CGSV Orchestra - something for all the ensemble performers to aspire to. The annual Summer School is a mix of lectures, open lessons, ensembles and workshops designed for guitarist of different levels. In the last 20 years the list of musicians that have tutored at the Summer School reads like a who’s who of guitar. The Summer School concludes with a number of concerts, which we have recorded for you to enjoy. This includes the finale Gala Performance, the "Tutors Concert", and recitals from both Gary Ryan and Vincent Lindsay-Clark. The Classical Guitar world was shocked and saddened by the recent passing of renowned Australian guitarist and composer Phillip Houghton. Organised by the Classical Guitar Society of Victoria to celebrate Phillip's wonderful music, this event at Montsalvat, in Eltham, Victoria, featured performers included: the Melbourne Guitar Quartet (MGQ), Dan McKay, Daniel Nistico, the Ladies Quartet (Nadia Sartori, Zeah Riordan, Tania Ravbar, and Alexandra Velasco), Kara Karavitis, John Mills, Gerard Mapstone, and Jemma Lee Donovan. The CGSV 2017 Ensemble Extravaganza, was a fantastic opportunity for the school ensembles to showcase to fellow students, parents and the school system at large the results of their commitment and efforts, together with the experience of playing in public and being applauded for their efforts. It’ was a great night for all involved - enjoy the performances. At GuitarsOnline, once again, we’re proud to have sponsored this year's Melbourne International Guitar Festival, Classical Guitar Competition, which ran from September 22 - 24.